Which is the Easiest Process of Building Wooden Garages? 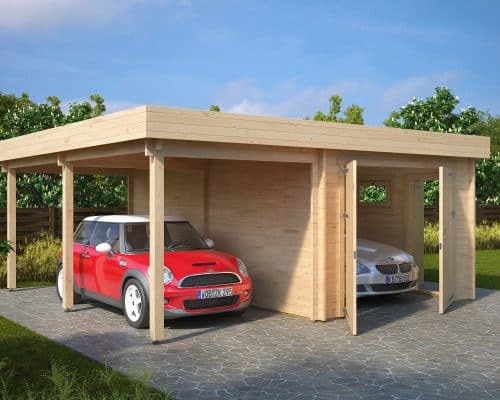 Wooden garages are becoming more and more popular mainly because they just look much better than most alternatives. Wooden beams and planks are a natural material of great strength, durability, sturdiness and beauty, just fine for a structure like a wooden garage, and they have a number of characteristic features that make them an optimal material when it comes to storing objects that profit from dryness and a steady microclimate. Moreover, wooden garages are readily available to order as prefabricated assembly kits in many forms, styles, sizes, floor plans, prices and qualities and thus can be constructed by the buyer in just two or three days. When it comes to looks and microclimate they clearly outdo concrete or steel garages which would also be available prefabricated. 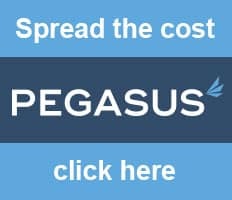 A wooden garage not only helps to protect your investments like your car and maybe some other things, like bikes or tools which have cost you quite some money, it also is an investment in itself. A wooden garage can generate an increase in value of up to 15% on the property market compared to the same house without a wooden garage. So, maintaining your wooden garage properly means protection of your investments and maintaining values. The best precondition for a proper inspection is cleanliness and free access to every part including the corners. So, if you have stored a lot of items in your wooden garage use a sunny day to store them outside, and clean the floor and the walls from loose dirt, spider webs etcetera before zou perform a thorough inspection of the building from the inside. Usually don’t need any treatment, except you can see the light shining through them, and there is a danger that water gets into them when it rains. You can treat these cracks before filling them up with a wood paste, but make sure to have a protection against water from the outside because the wood paste will probably not keep the water out on its own. You can use a protective lacquer. In cases of bigger cracks, you could also glue a wooden slat over it from the outside to prevent rainwater from reaching the gap. Wood can last nearly indefinitely if it is kept from rotting. Rotting is caused by micro-organisms. The main measure to keep these out of the wood is by keeping it dry. A functioning roof is the main concern. Check for leaks in the pouring rain. Any wet spots are not acceptable. Water can not only cause mould and rotting, it can also make the wood bend or twist and thus affect the structural stability of the wooden building. If your roof leaks, it needs to be fixed as soon as possible. Sometimes storms can cause ruptures in the roof or crack it by blowing hard things like branches or limbs onto it. Also, the roof material can age with the time from the sun, rain and frost and then crack easily. If this is the case, you should consider re-roofing the entire wooden garage. The other source of moisture can come from the ground. A well drained, solid base should be the foundation, built in a way that water running down the walls, as well as surface water during heavy rains, will be directed away from the building. A little elevation from the ground level will help and the foundation can also be laid on a watertight layer. See our guide to foundation building where we describe some types of foundations and how to build them. The third way that water reaches the wooden garage is of course on the walls and the doors during rain coming in angular with the wind. Thus, for most wood species, it would be advisable to treat the wood at least on the weather side with water protective paint, oils or lacquer once every few years. If you use a coating with a UV protection, this will also help to maintain the light brown colour of the wood. Some wood species also need a bluestain-protection. This applies to coniferous timber like Spruce, Fir, Pine. Redwood and others. Locks and hinges of doors and windows need greasing and oiling. Make sure that locks and hinges work smoothly and silently. If you come across loose screws, you will, of course, tighten them. Often times plants grow around a wooden garage which is perfectly OK to make it look more natural and make it an integral part of your garden. However, take a close look at the wood behind those plants. Does it have mould or moss? Sometimes these plants can cause the adjacent wall to be wet much longer after a rain than the wall areas not covered by plants. If this is the case, the walls will profit from a cut back of the plants from the wall so that the wall will have a better ventilation. You don’t need to shorten the plants at all; just create a free gap between them and the wall so the wind can blow through it. If you see mould or moss this is also a sign that water already soaks into the wood and that means that it is time for a new water protective treatment of the outsides of the walls. If you have treated your walls with a lacquer or oil that soaks into the wood then you don’t need to remove lacquer residues from the last treatment. Just see to it that the wall is clean and dry. A few days of dry and sunny weather and good ventilation will bring the timber into the right condition to be treated. Choose the treatment according to your needs. Do you need UV protection? Do you need blue stain protection? Don’t use this too often because it is poisonous, or restrict its use to areas that get wet regularly. With this, your yearly inspection is finished and you can rest assured that your investments considering your car, accessories, bikes or whatever you store in your wooden garage as well the garage itself are well protected.